For top-notch orthodontic care for both children and adults, look no further than Long Island Straight Smiles. We offer state of the art treatment in a warm, friendly environment. From young children who need interceptive therapy to adults who want inconspicuous treatment, such as Invisalign, Drs. Romeo, Leavy, and Mateer treat patients of all ages, delivering outstanding results that exceed your expectations. One of several recognized dental specialties, orthodontics deals with moving teeth into their ideal position. Straight teeth not only look better, but they also impact oral health by decreasing the risk of dental decay and gum disease. Drs. Romeo, Leavy, and Mateer will carefully evaluate your teeth, jaws, and facial structures to determine your orthodontic needs. After a complete evaluation, they will then explain the steps involved with treatment, answer any questions, and work with you to select the best treatment options. As our patient, you’re in good hands. Our team’s proficiency comes from top level education and years of experience in successfully treating patients. We love creating extraordinary smiles. 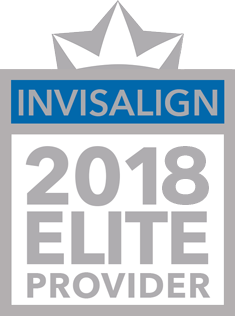 Providing you with the absolute best possible orthodontic result and experience is our ultimate goal!